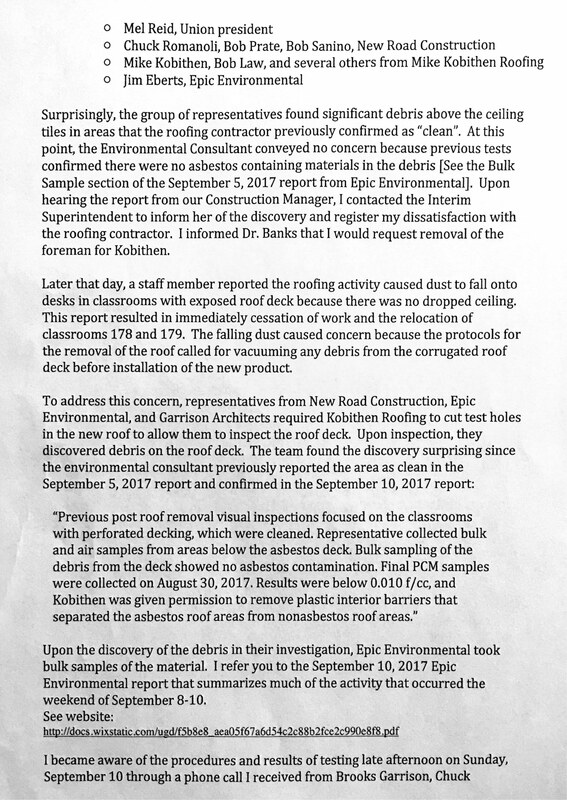 UPDATE 11/28/2017: Brennan sent us a digitized version of his statement. We are unsure at the moment if there are any differences between the versions we digitized ourselves (below). 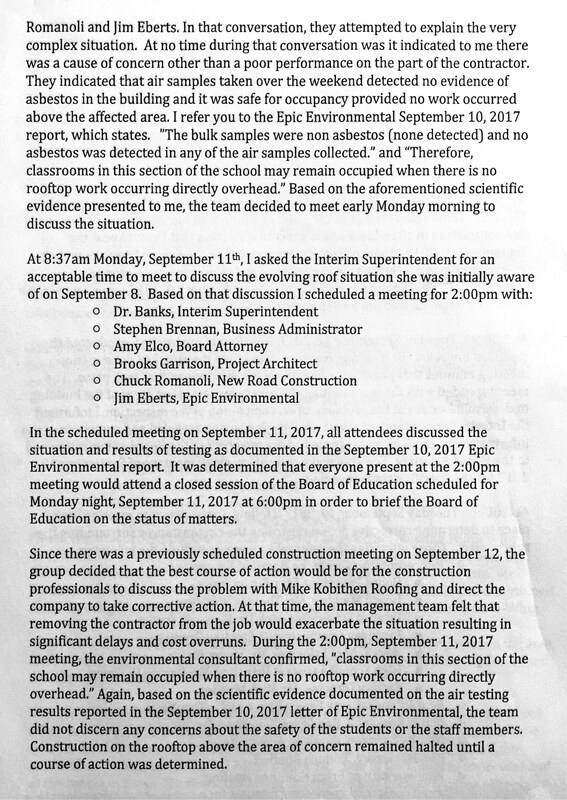 At the November 6th, 2017 Pinelands Regional School District Board of Education “working session,” District Business Administrator Stephen J. Brennan read a seven-page prepared statement (full text is at the bottom of this article). 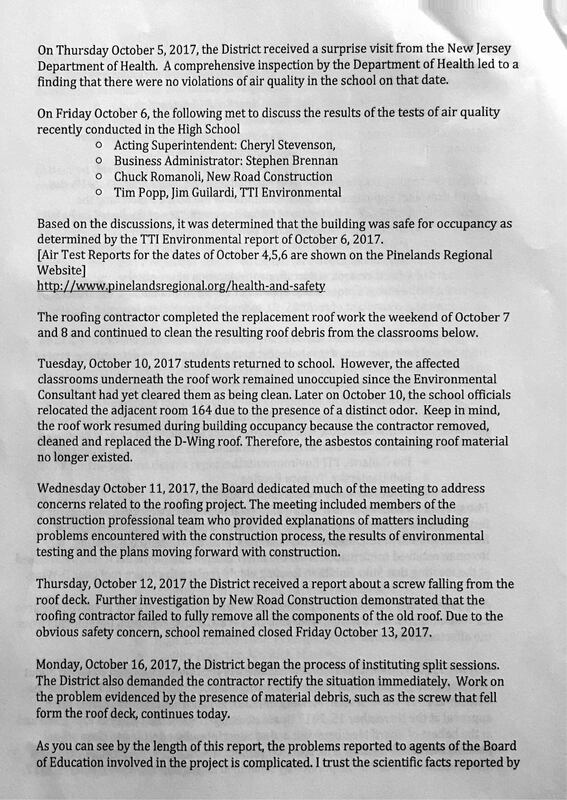 In the statement, Brennan defended his actions during the ongoing problems with the High School roofing construction project. 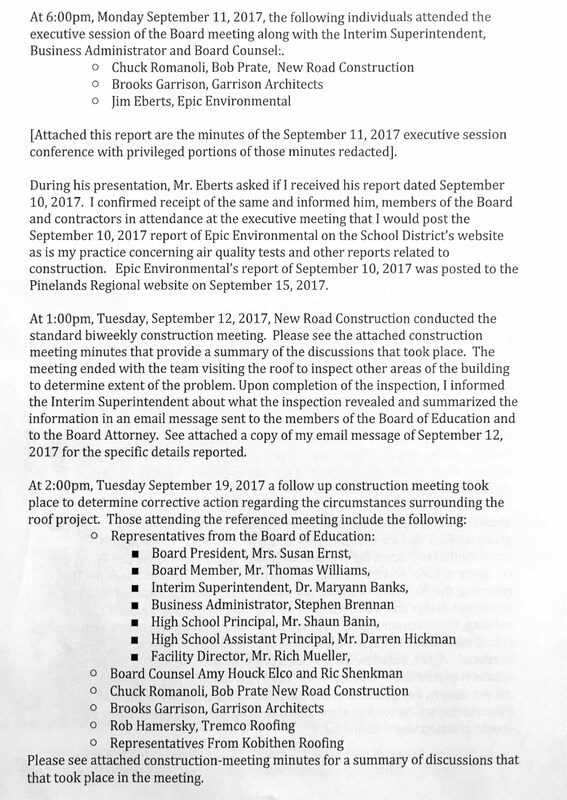 Within a minute of completing his statement, it was revealed that the only recording of the critical October 11th BOE “working” session, is gone. 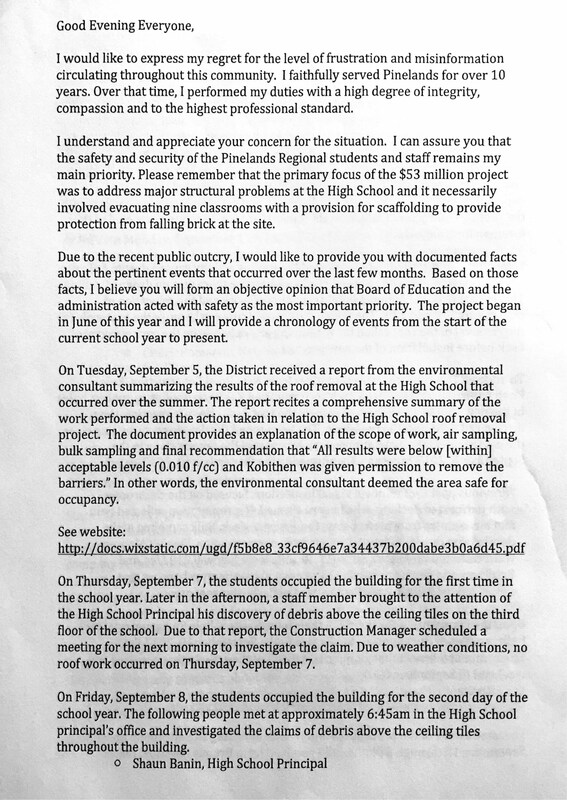 After that meeting, Brennan informed the solicitor that the software used to record the meeting “malfunctioned.” Critical information was presented and admissions made during that meeting, which was the first one after parents were informed that their children were in class for three weeks, as construction resumed and the ventilation system was left open and on. 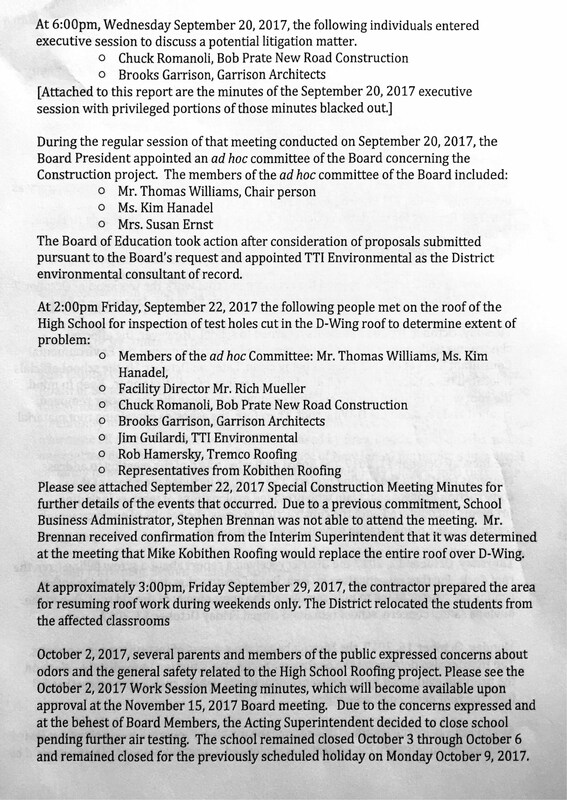 Brennan personally presented a paper version of this document to Citizens’ Media TV, after the November 6th meeting. 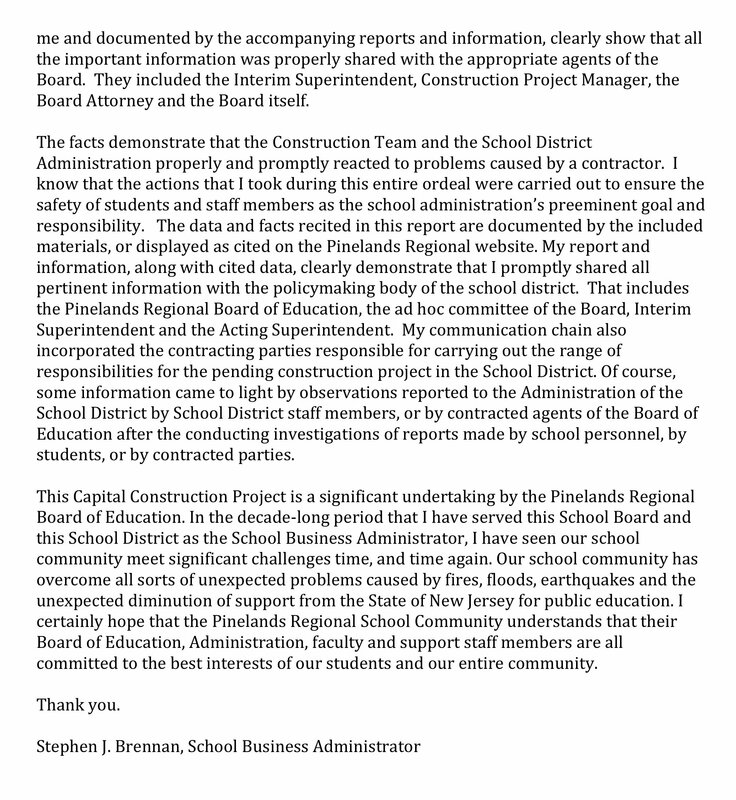 All supporting documents are found in the PDF: (text searchable [45 MB], non-searchable [17.5 MB]).